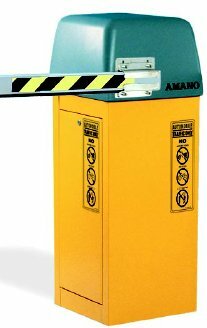 Amano Cincinnati’s AGP-1700 Series is designed to meet all your parking control needs. The microprocessor-based logic and functionality provides the ultimate in reliability, performance and safety, as well as the flexibility to accommodate four different modes of operation. 12’ standard or lighted gate arm, and 11’ standard folding gate arm configurations available. 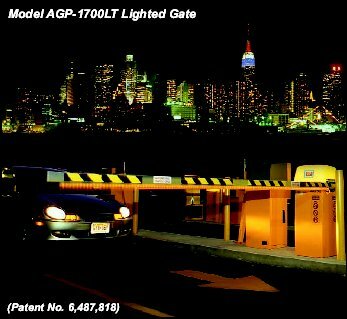 Designed to provide exceptional visibility, particularly between dusk and dawn, the lighted parking gate represents the latest in industry technology (U.S. Patent No. 6,487,818). Provides exceptional visibility between dusk and dawn. Specifications are approximate and are subject to change without notice. Manufactured by Amano Cincinnati, Inc.'s Ohio factory, an ISO 9001:2000 registered facility.